The father and son team of John and Mark Grieve founded the New Zealand Browns Bay Dojo in 2003 after immigrating from South Africa in 2000. Training commenced with a small number of students and since that time the dojo has grown and is known for an adventurous spirit and a love of outdoor training. Both instructors are highly experienced karateka and have been graded fourth Dan by the Japanese Karate Association. 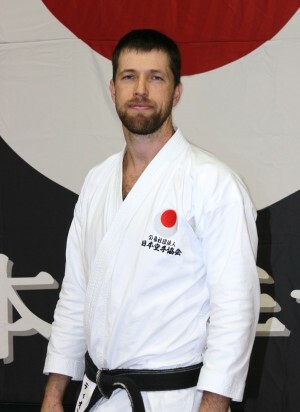 Sensei John started Goju Kai style of karate at the age of 30 in South Africa with his three sons Mark, James and Matthew. 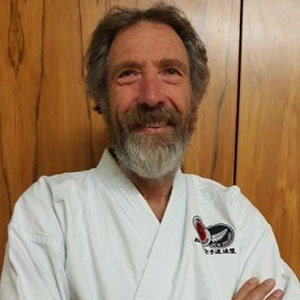 The Grieve family moved to Nevada City, California, where they trained under the excellent tutorage of Sensei Lucien Brink in the Shotokan style of karate. The Grieve family returned to SA for three years where they joined JKA and trained under Sensei Michael Coetzee in Mossel Bay. Sensei John, Mark and James were all graded to shodan during this time. Mark because of his adventurous spirit was given a “special” shodan grading by the grading panel consisting of Senseis Allen Fourie and Michael Coetzee which lasted a gruelling 3 hours. He came through it with flying colours. 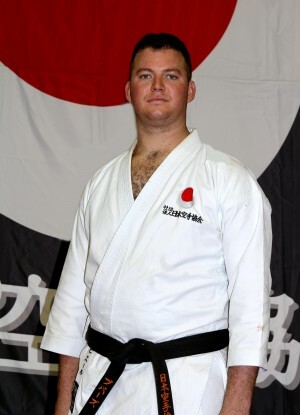 In 2011 Mark and his wife Shaye (nidan) spent a year and a half specialised training at the JKA-SKC Honbu dojo in Melbourne. If you are looking for a great dojo with expert tuition, Browns Bay is the place. The Waimauku Dojo’s instructor, Sensei Christopher Papas,sandan, has been training in the art of karate since the age of ten. Born in South Africa he immigrated to New Zealand with his family in 2001 and continued his training under the instruction of Senseis John and Mark Grieve. Sensei Chris says, “karate is a strong and beautiful art and it teaches Karateka to respect, to be faithful, to refrain from violent behaviour, to be aware and to endeavour; this inspires me and my aim is to instill this inspiration in others”. A variety of classes are held weekly for children and adults. Please contact Chris Sensei for mor information.